Moving from one place to another location is a difficult job itself. The most crucial and tough part of moving is the Packing Services in Dubai of the various materials because it is to be made sure that the objects to be moved do not get damaged during the moving process in Dubai and Abu Dhabi. A to Z movers in Dubai and Abu Dhabi are the most reliable packers and movers in Dubai. We understand every need and requirements of our respected customers and offer our best packing services in Dubai. We have a team of experienced professionals, who provide all sorts of relocation services in Abu Dhabi, Dubai and packaging services in Dubai and Abu Dhabi. our company provide an array of services that include packaging services, office movers in Dubai, residential movers in Dubai, corporate relocation, piano movers, warehousing facilities, etc. We offer our best packing services at the most reasonable prices as compared to the other Sharjah movers, Dubai Movers & Abu Dhabi Movers. The professionals who carry out the packaging tasks make the whole hectic process look easy and simple. They carry all the packaging materials of wrapping with stretch film, boxing, taping, etc., in an efficient way of packing. We deploy standard packing materials in order to make it perfect that none of the products gets damaged. 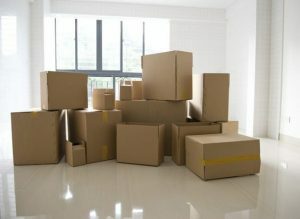 Our packers give it our best shot to complete the moving process as soon as possible. We Assign the packing services in Dubai and unpacking while in moving services in Dubai. 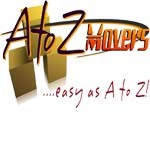 A to Z movers handle with care all of your household and sensitive items duration of moving process. We are responsible if anything will damage or broken WE claim to you. One call at 0556821424 does it all. Our company Moving and Packing services in Dubai can help save time from the first phone call through project completion.